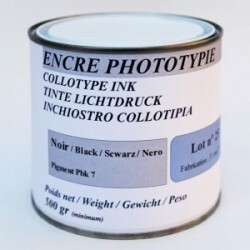 Collotype ink black - box 500gr long preservation (without siccative). Linking with cooked linseed oil and with resins of high qualities. 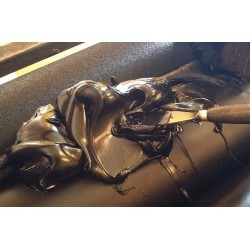 This fat ink, very firm, agrees for the practice of the printing collotype process. Was elaborated according to a takings worked out in association with persons practising the collotype. 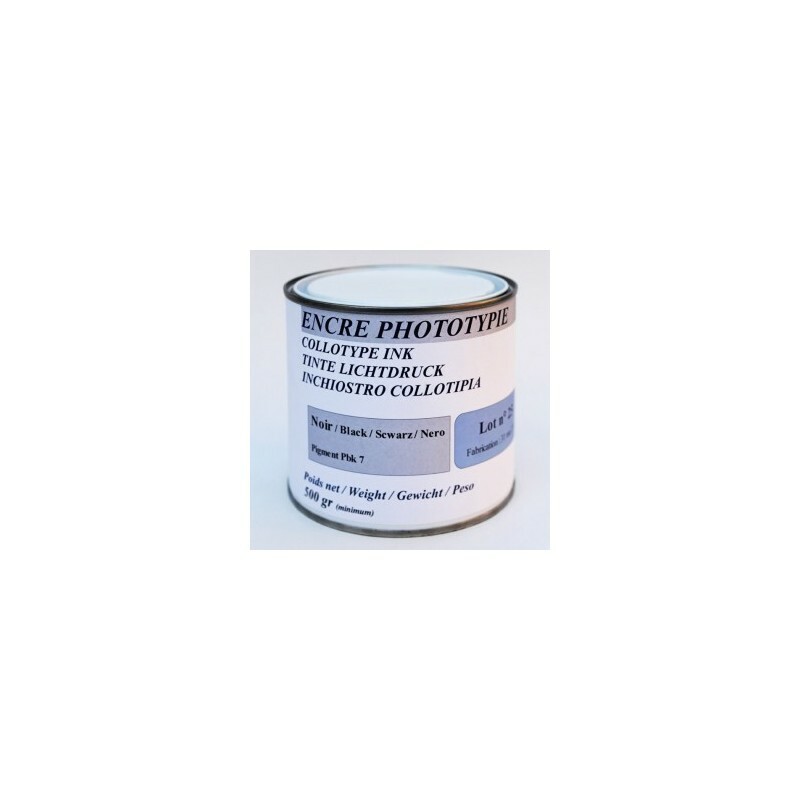 Use for the other printing processes : his very strong concentration in pigment allows him it can be used for miscellaneous other processes (manual typography, lithograph, ...). In that case it is softened with the linen varnish.